In April 2016 at Facebook’s F8 conference 1-800-Flowers announced Gwyn, their Facebook Messenger chatbot. Gwyn is a “personal gift concierge” that enables users to search, select and order the perfect flower arrangement. Shoppers can, as Mark Zuckerberg put it, order from 1-800-Flowers, without ever having to call 1-800-Flowers again! Gwyn helped reach a new customer base. In fact, 1-800-Flowers has reported that 70% of orders via Gwyn were from new customers. With their increasing prevalence in today’s world, chatbots seem like a recent idea. While they have certainly been improved upon and made more useful and productive in the past 10-12 years, chatbot history actually goes back nearly 70 years to the beginning of computing itself. While not a comprehensive history of chatbots we will highlight some impactful and influential chatbots and developments from the last 70 years. This article is the second in a nine-part series on what chatbots are and how they work. Consider subscribing to our blog or newsletter to receive notifications on when new articles are posted. The ideas for chatbots and computer intelligence date back to 1950. 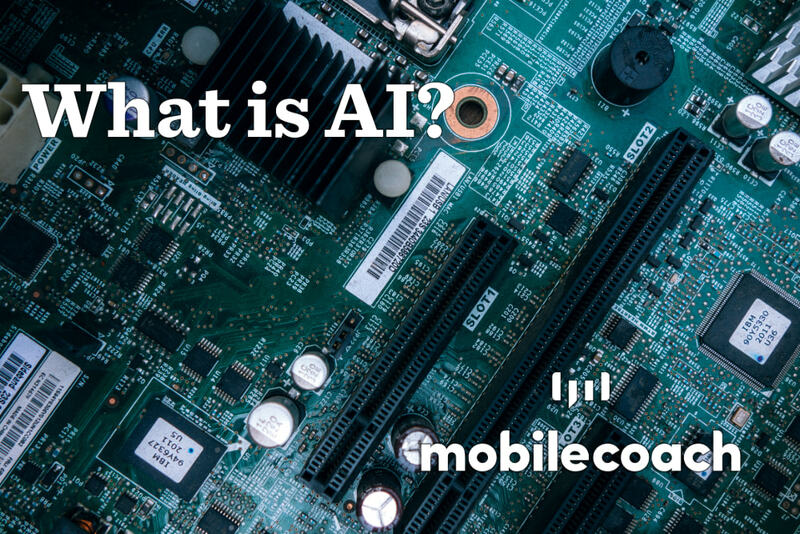 An English scientist named Alan Turing published an article in which he proposed the question “Can machines think?” Additionally, his article lays out the basis for the Turing test, a way to measure whether you are speaking to a human or a machine. 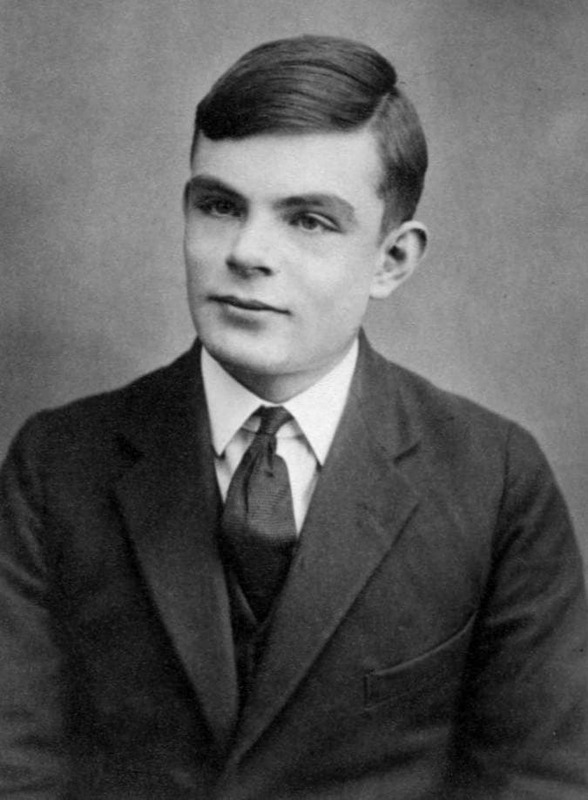 By proposing this standard for machine intelligence, Alan Turing threw down a challenge to all computer scientists to pass his test. In 1966 Joseph Weizenbaum, working out of the MIT AI laboratory, created ELIZA. Though ELIZA failed the Turing test, Weizenbaum laid the foundation for chatbot (then referred to as “chatterbot”) structure such as keywords, specific phrases and pre-programmed responses. A few years later in 1972 Kenneth Colby, an American psychiatrist working out of the Stanford AI laboratory, developed PARRY, a chatbot that simulated a person with paranoid schizophrenia. In testing PARRY with psychiatrists, just under half were able to identify the difference between PARRY and a real person. Chatbot development accelerated in the 1990s with the development of Dr. Sbaitso in 1992 and A.L.I.C.E. in 1995. Dr. Sbaitso was an AI speech program built for MS-DOS computers that assumed the role of a psychologist and showcased a digitized voice. ALICE was a natural language processing (NLP) bot. She used sophisticated rules to match human input to carry out a conversation. Originally developed for the AOL messaging platform, SmarterChild was released in 2001. SmarterChild engaged users in conversations that were entertaining and personalized. It quickly gained wider distribution, soon working on MSN Messenger and via SMS. In many ways, SmarterChild was the precursor to Alexa and Siri. 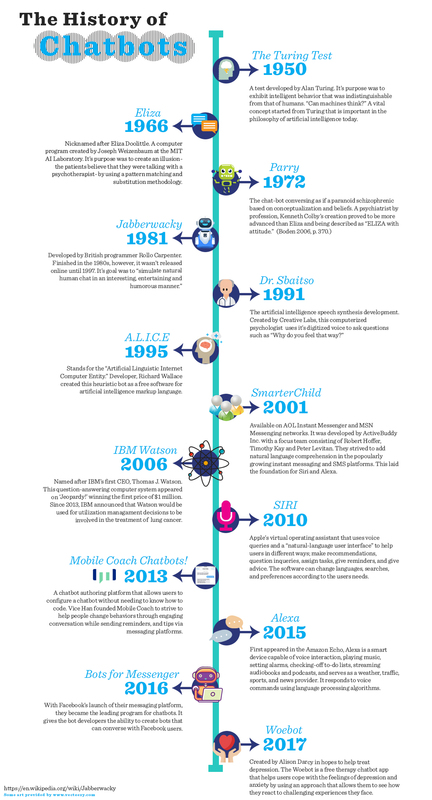 The year 2006 brought the big tech companies into the chatbot realm with IBM’s Watson. Many of us recall Watson playing and winning at Jeopardy against champions Ken Jennings and Brad Rutter in 2011. 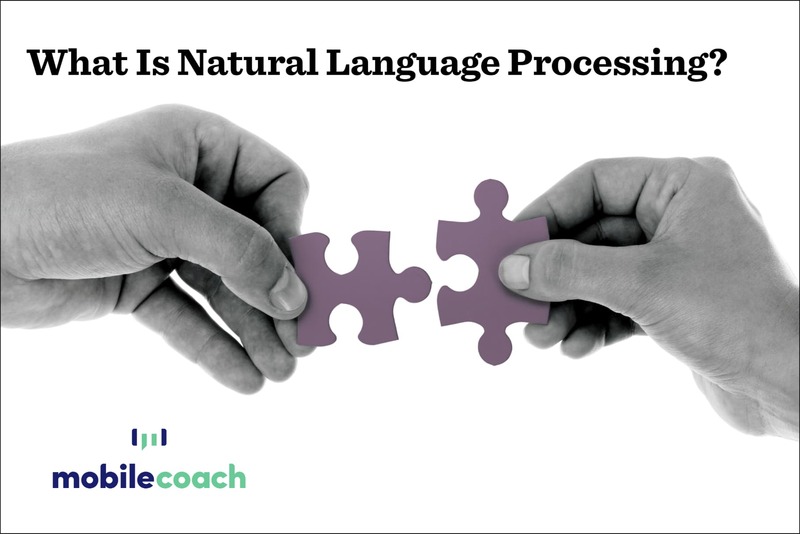 Watson’s AI and NLP base has since been commercialized to process and reveal insights from large data sets. In 2013 Mobile Coach released its first chatbot, Coach Alba, that helped users achieve fitness and weight loss goals. 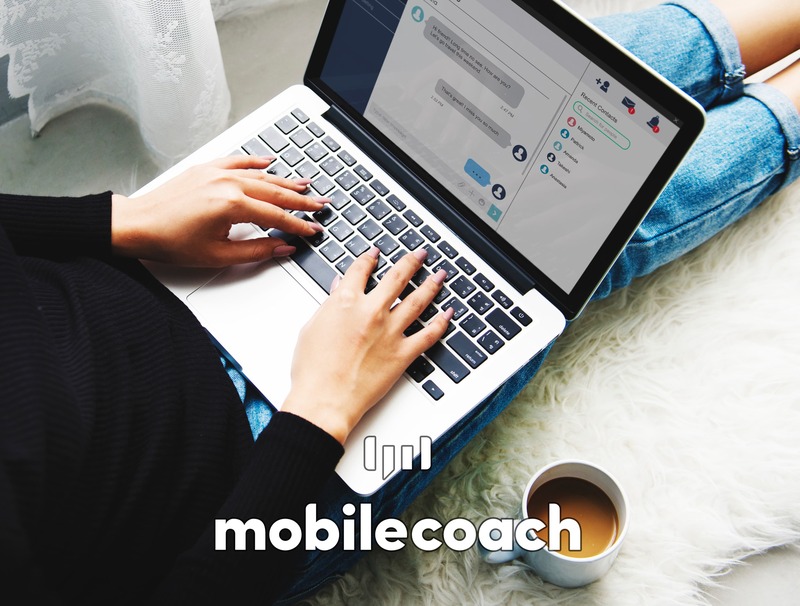 The technology in Coach Alba was developed and expanded to become a full-featured chatbot authoring tool, which has grown into the Mobile Coach Platform. Since then, Mobile Coach has continued to develop and innovate chatbot designs. 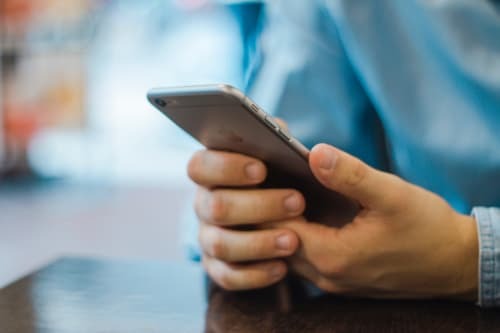 In the last 10 years, some of the best known chatbots have been personal assistants from tech giants like Apple (Siri – 2011), Google (Google Now – 2012), Amazon (Alexa – 2015), and Microsoft (Cortana – 2015). These voice based chatbots use NLP and sophisticated rules to perform a variety of actions and commands on multiple platforms (mobile devices, smart speakers, thermostats, etc). 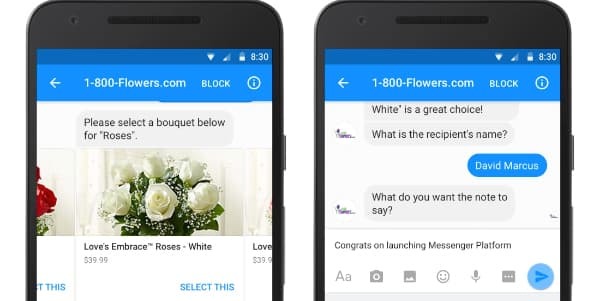 Gwyn, 1-800-Flowers’ chatbot launched in 2016, was among the first chatbots on the Facebook Messenger platform. By opening up the Messenger platform to bot development Facebook launched a frenzy of bot development. In the years since hundreds of thousands of bot have been built on the platform. Chatbots are continually getting smarter and more capable. Use cases from personal assistants, customer service, commerce transactions, CBT, and learning all continue to expand and gain greater acceptance into society. 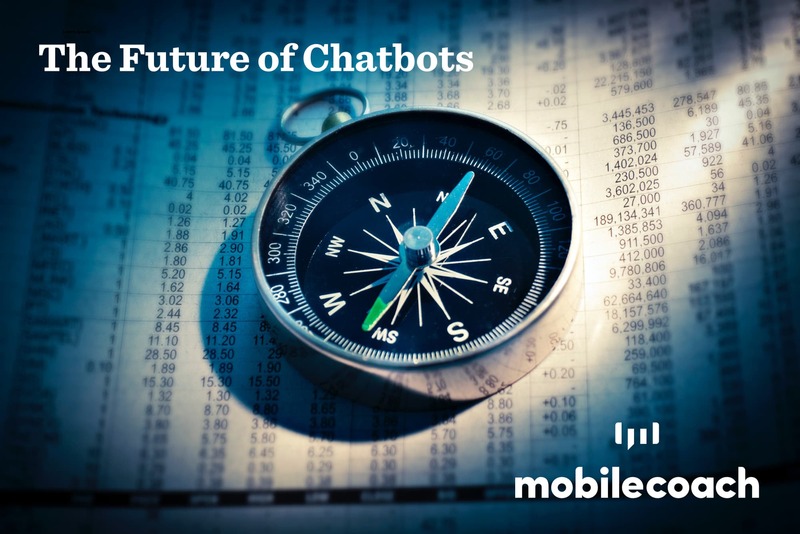 In our next installment we will further address what the future may hold for chatbots. If you’d like to add this infographic to your website use the code below to embed the image. Please include attribution to Mobile Coach. Please include attribution to https://mobilecoach.com/mobile-coach-blog/ with this graphic. Turing test – a test for intelligence in a computer, requiring that a human being should be unable to distinguish the machine from another human being by using the replies to questions put to both. Fun fact: a captcha, often seen on website forms as a way to determine if the user is a human or a bot, is a reverse Turing test.